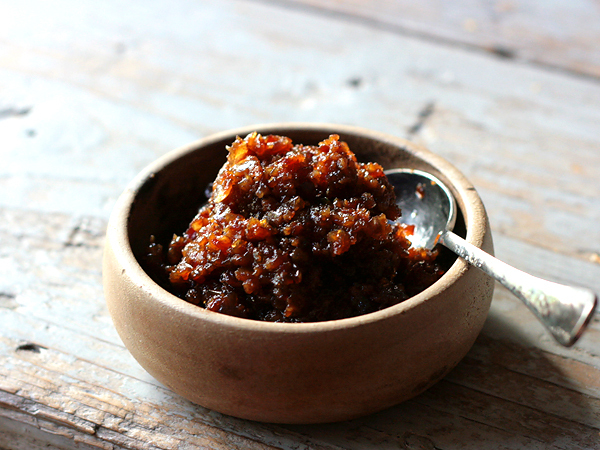 There are lots of things you can add to Bacon Jam (bourbon, spices, maple syrup, hot pepper), but I am staying on the path of least resistance to get as quickly and easily to this final thing that tastes like sticky sweet bacon. In a large pot, cook bacon until just starting to brown and crisp at edges. Remove cooked bacon to paper towel-lined plate to cool and drain off grease. Pat with additional paper towels. When cool, cut bacon into 1-inch pieces. Pour off all but 1 tablespoon bacon fat from pot. Turn heat down to medium low. Add onions and garlic, and cook until onions are translucent. Add vinegar, brown sugar, and coffee. Bring to a boil. Add cooked chopped bacon. Turn down heat to the lowest setting and allow to simmer for about 1½ hours, stirring every few minutes, until most of the liquid has evaporated and what is left is syrupy. Do not leave the pot unattended because 1) that’s just not safe no matter what and 2) there is a lot of sugar from the onions and well, the sugar, so it can burn easily. Pour the contents of the pot into the crockpot. Cook on high for about 3 hours. 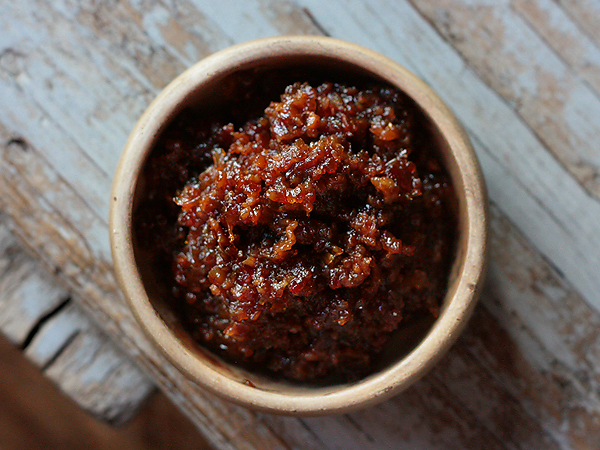 Transfer the cooked bacon jam to a food processor. 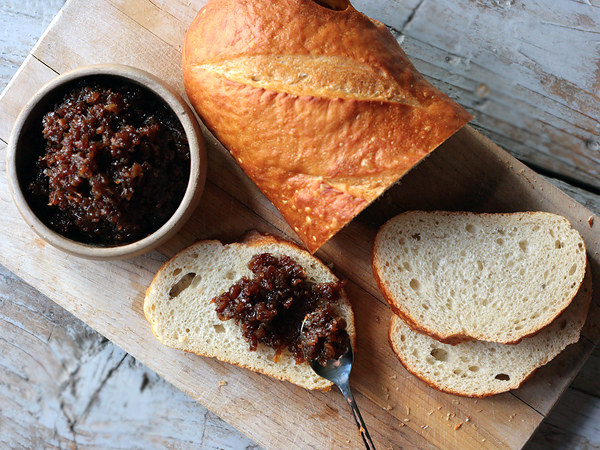 Pulse until you get the consistency of chunky jam. 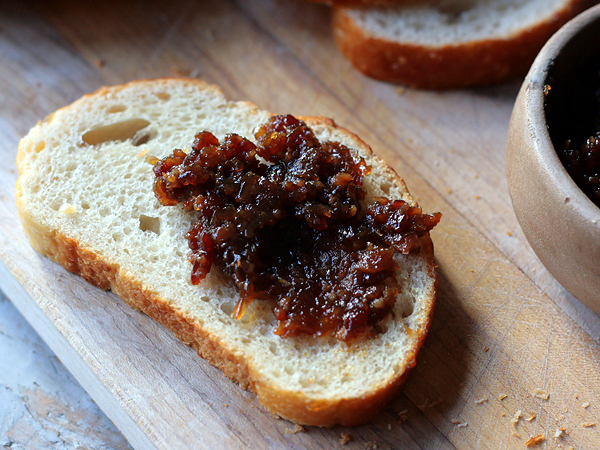 Bacon jam is sticky, sweet, slightly smoky, and a little bit “crunchy” from crisped parts of cooked bacon. Store covered in the refrigerator. I have no idea how long it keeps, but based on my recipe research, it seems like a few weeks. I doubt you will have any left after 3 days.